Not Heaven, but our view as we headed over the Alps on the way back from Sicily. The clouds eventually cleared and we got some good pics of the mountain peaks. Today, a friend shared an online ABC article about Claire Wineland on my Facebook timeline. 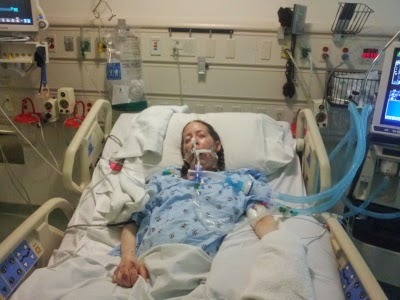 It gave a few specific details that Claire left out of her video, like the fact that she had sepsis (which is what put me in my non-medically induced coma). A neurologist quoted in the story took pains to point out that her coma was medically induced, as if that explained why Claire was able to perceive things around her and incorporate them into her coma-dream. At least that's how it sounded like to me. While most of the coma-dream accounts I've read online were indeed from people who were also in medically induced comas, I can attest that it is not the necessary precursor. It may well be more common in that group because their comas aren't as deep, but we can't really know, since so many in my situation die without ever being able to tell the tale. I was in a 10 day coma, medically induced the last few days, after I passed away on the OR table during emergency surgery. Many of my organs, like my kidneys shut down. I remember walking down a very, very wide hallway. On each side there were massive doors that opened up to beautiful scenes like valleys, fields with lakes, tropical beaches and the like. I remember hearing someone playing the guitar and singing, over and over again, "Knock, knock, knockin' on Heaven's door". After a little while I realized it was a dear departed friend of mine who was a musician so I said "Bob, is that you?" ( I could not see him only hear him). He said "Yea, it's me buddy, but we don't need you right now why don't you go home." So I turned around and walked back. I had many people say to me that it was an afterlife experience. I'm not so sure of that because all of this happened around Christmas time and during my coma I also helped Santa Claus deliver presents to Norway and England. 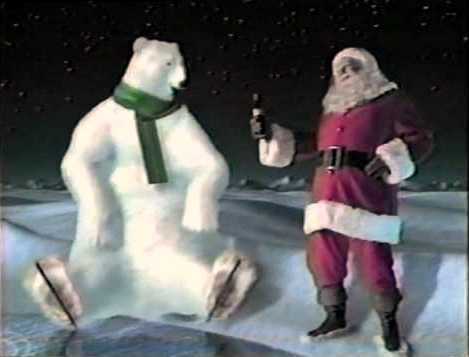 Oh, by the way... those soda drinking polar bears are real as well.... I met them and we went sledding. So, another whimsical coma-dream with classic near-death experience elements. Though he did see a dead friend, who told him a version of the usual, "It's not your time," he saw not angels, but pop culture icons. It's not surprising that so many people reject his rational interpretation of his experience, just as they reject my medically based explanation. If what he saw was a figment of his imagination, then maybe all those other NDEs with dead relatives and angels are also fantasies, as well. 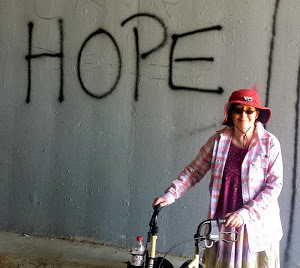 As I detailed in my article, "Covert Cognition: My So-Called Near-Death Experience," in the current issue of Skeptical Inquirer, that may be because NDEs are manifestations of REM intrusion. In other words, they're all a kind of coma-dream. According to the REM intrusion theory, formulated by Professor Kevin Nelson, author of The God Impulse, people with forms of REM intrusion like sleep paralysis or lucid dreaming (in my case), are far more likely to experience an NDE. 60% of the 55 people in his study who had NDEs were prone to REM intrusion. Only 24% of the controls who had never had an NDE reported REM intrusion. While small, the results of the study are highly suggestive. This is a difficult subject to investigate, but I hope this study will only be the start. REM intrusion is a phenomenon of blended dream states. Indeed, I actually experienced lucid dreaming within my NDE/coma-dream. Professor Nelson argues that REM intrusion explains the surreal aspects of NDEs. (He goes into the theory in much more detail in The God Impulse.) In short, it seems dreamlike because that's exactly what it is. And REM intrusion most certainly could account for the blended NDE of NoAZPhilsPhan. Unless Heaven is not only "for real," but also is for the unreal.